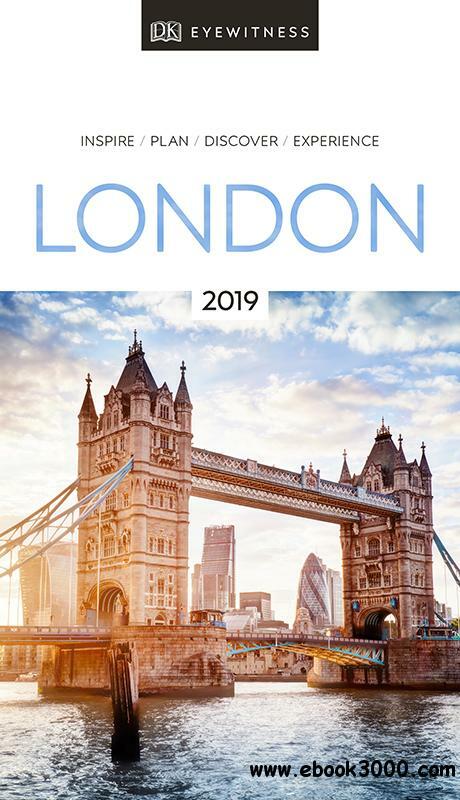 Find your corner of London with this essential travel guide to this great city, designed to help you create your own unique trip and to transport you there before you've even packed your case - step back in time at the Tower of London and the British Museum, get a bird's eye view of London from the Shard, or relax in Hyde Park. The DK Eyewitness Guide to London covers the must-see sights and the hidden corners, so you won't miss a thing. Reasons to love London: world-class museums, lively local markets, pomp and pageantry - what will yours be? Easy-to-follow walks and itineraries take you on a tour of each area, with plenty of eat and drink stops en route. Covers Westminster and Whitehall; Mayfair and St James's; Soho and Trafalgar Square; Covent Garden and the Strand; Holborn and the Inns of Court; Bloomsbury and Fitzrovia; King's Cross, Camden and Islington; the City; Shoreditch and Spitalfields; Southwark and Bankside; South Bank; Chelsea and Battersea; South Kensington and Knightsbridge; Kensington, Holland Park and Notting Hill; Regent's Park and Marylebone; Hampstead and Highgate; Greenwich and Canary Wharf; plus sights beyond the city. Vilnius 2018 : 20 Cool Things to do during your Trip to Vilnius: Top 20 Local Places You Can't Miss!